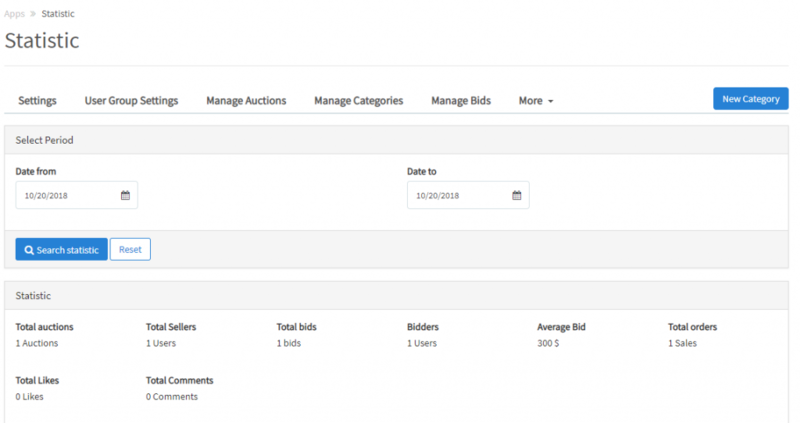 User placed the bid, owner of auction approve bid - user checkout using paypal or Emoney balance. 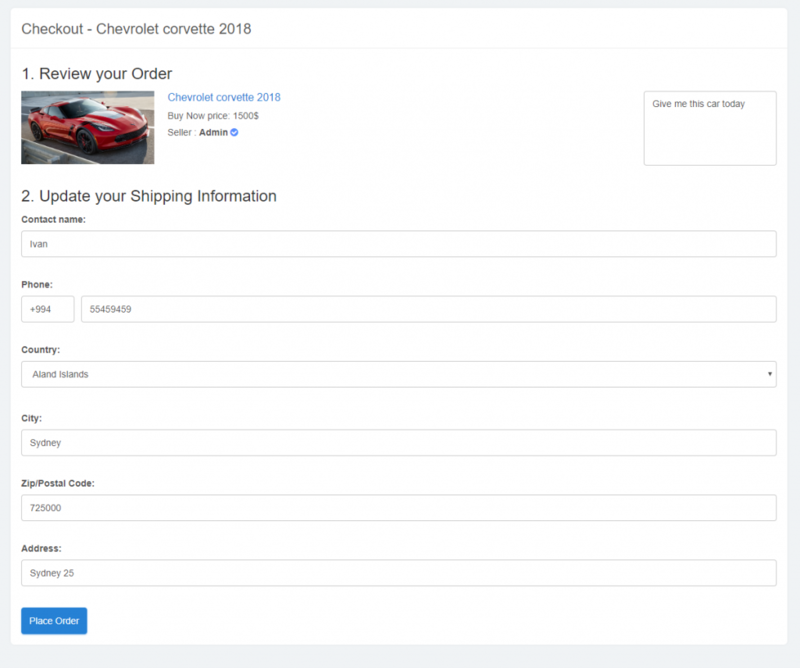 User used buy now option and purchase immediately item. 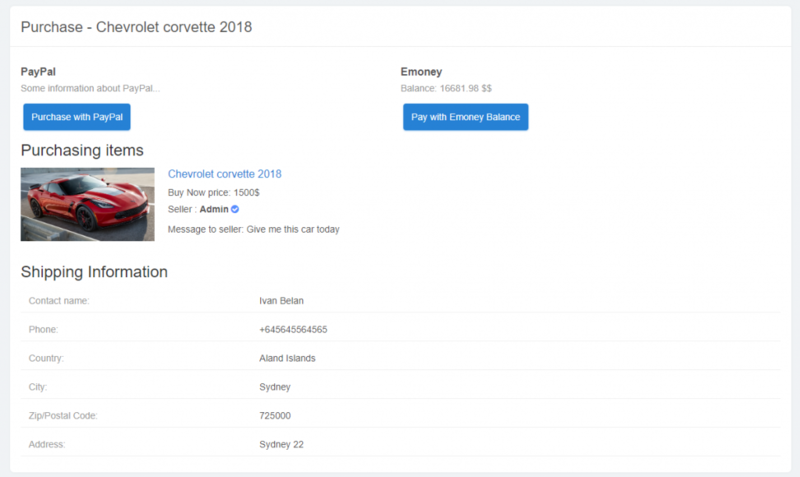 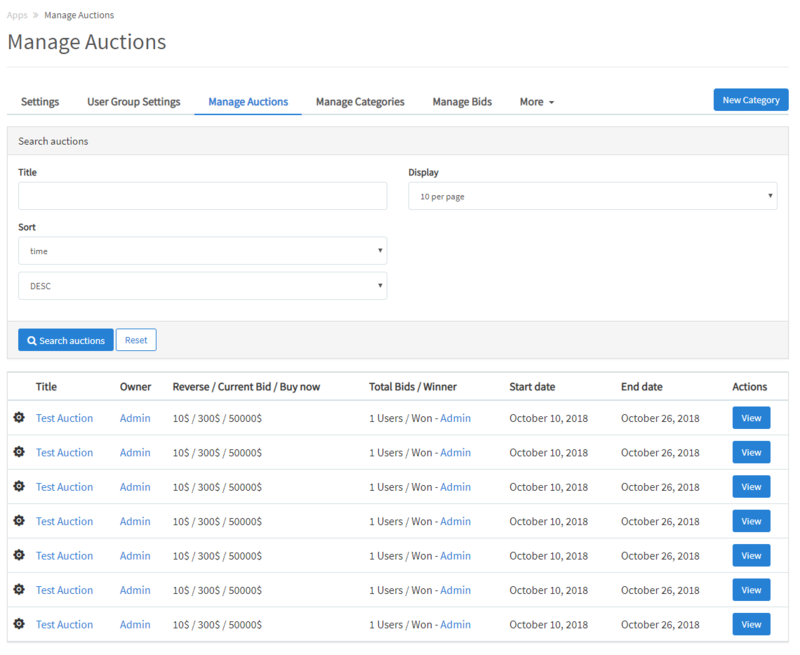 Admin get commission from Emoney withdrawing or use sponsored auction features. 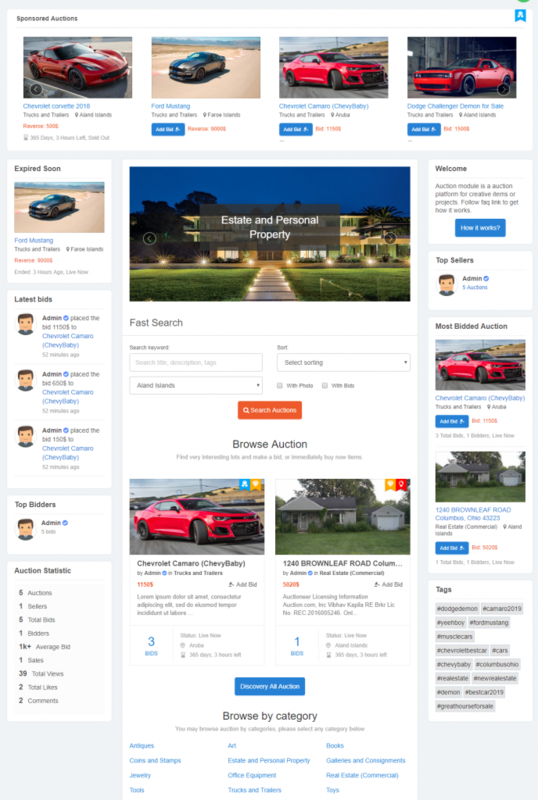 Beautiful Auction Home and Auction Index with many cool blocks of different sorted auctions. 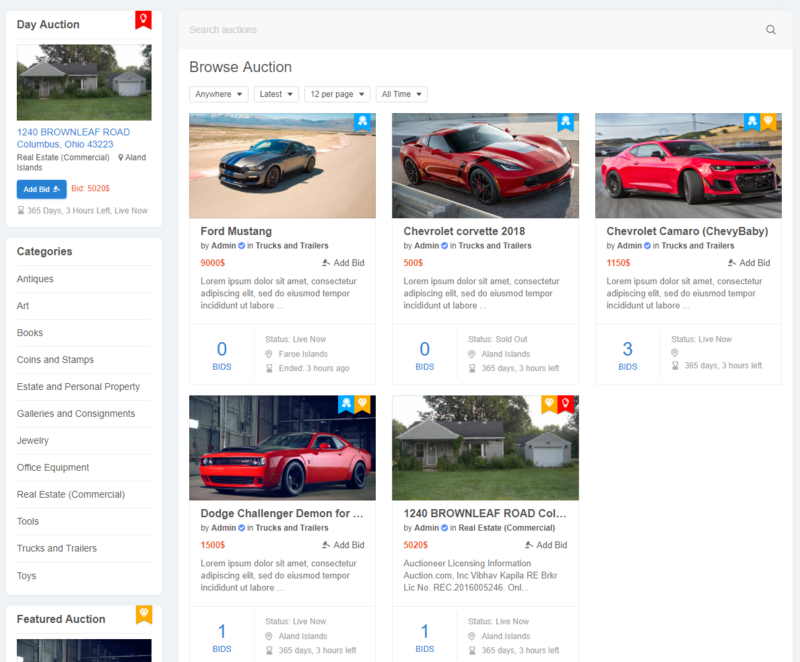 Manage Auction, My Favourite, Featured auctions, Expired auctions pages. 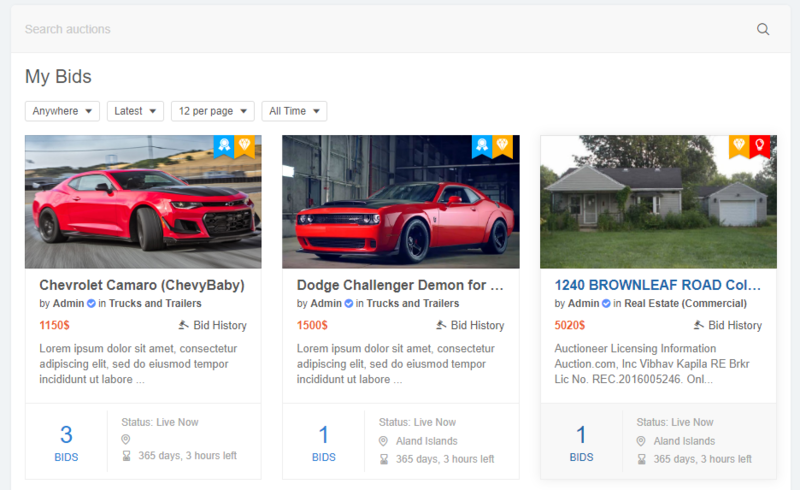 Latest,Most bidded,Expired soon,Bid low to high, Bid high to low,Alphabetic, Most viewed, Most liked, Most discussed filters. 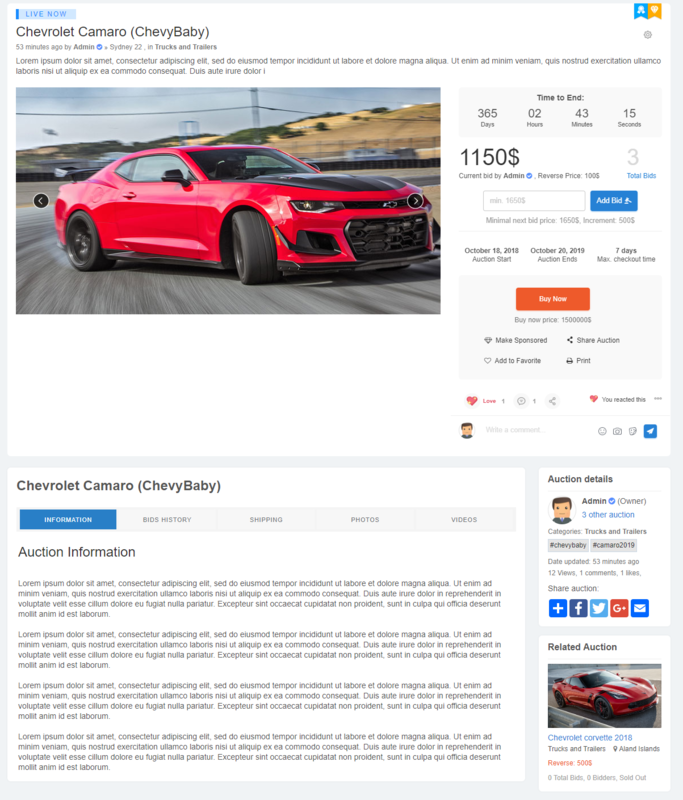 Setup auction tags, location, short and big description. 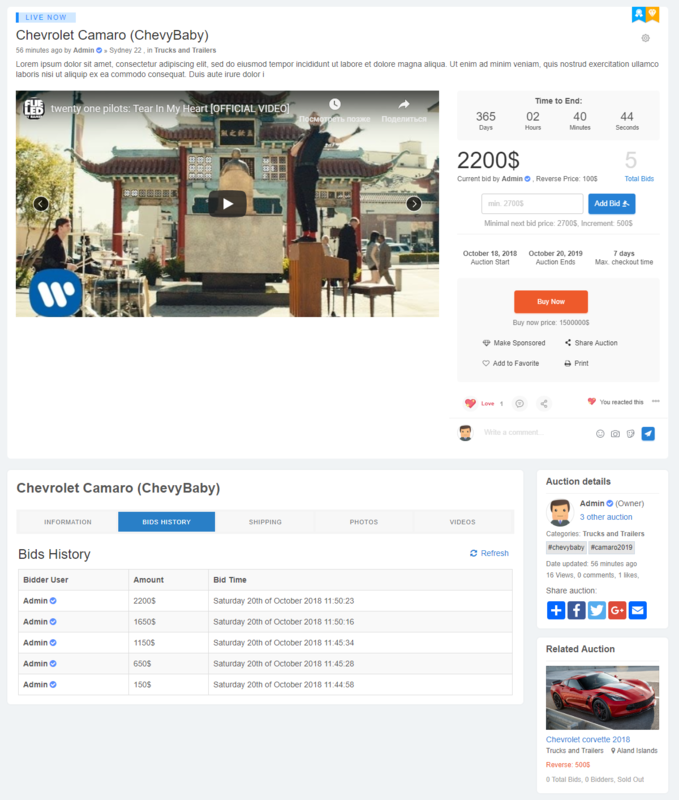 Information, Bids History, Shipping information, Photos, Videos, Map tabs on auction view page. 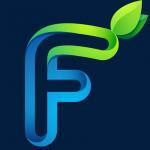 Print, Share, Share on other social network options. Purchase page with all phpfox core gateways and option to pay within Emoney balance. 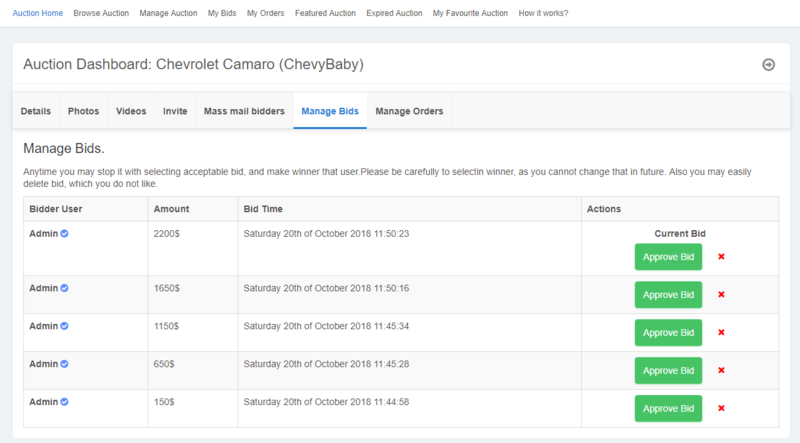 This app is optional for Auction app.